I have read in the news that some schools are starting to ban sugar from Valentine’s Day celebrations. I’m all for healthy eating and watching what we eat, but I wonder what schools without holiday treats would be like. Happy Valentine’s Day! We do love our jobs and all that comes with it. Elementary school is a great place to spend a day…even on holidays. This year's Stakeholder Surveys is open and will close on February 21. For parents and employees, an email with the link should have been sent to you. There is also a link on the Nebo District Home Page that is available. Students, parents and employees can go to this link to complete the survey. I encourage you to look for the email and/or the link and take the opportunity to give your input. https://neboschools.co1.qualtrics.com/jfe/form/SV_a3Lrk9lpA9ORMRD. Registration for the fourth session of after-school clubs will be made available on Wednesday, February 21st. Please watch for more information regarding the club schedule. Read Across America is a nationwide reading celebration that takes place the same week of Dr. Seuss’s birthday. Across the country, thousands of schools and libraries participate by bringing together students and books. 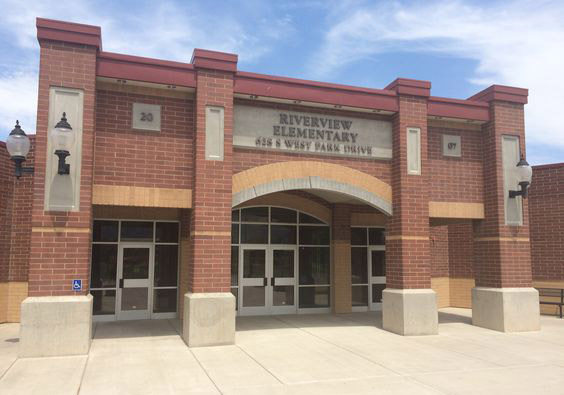 Riverview will celebrate February 26th – March 2nd Students may stop by the office to enter the drawing for a Dr. Seuss lunchbox. Friday, 2nd – Green Eggs and Clothes Day! (wear something green) Lunchroom will be serving green eggs and ham for lunch.